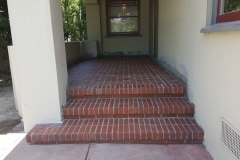 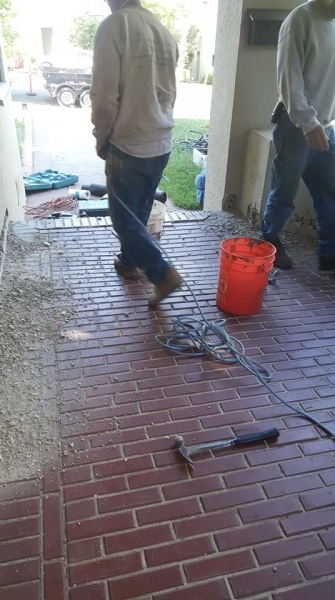 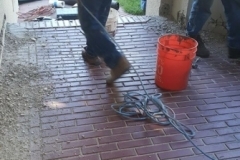 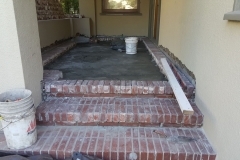 Rebuilding a Brick Porch - Masonry Specialists Inc. 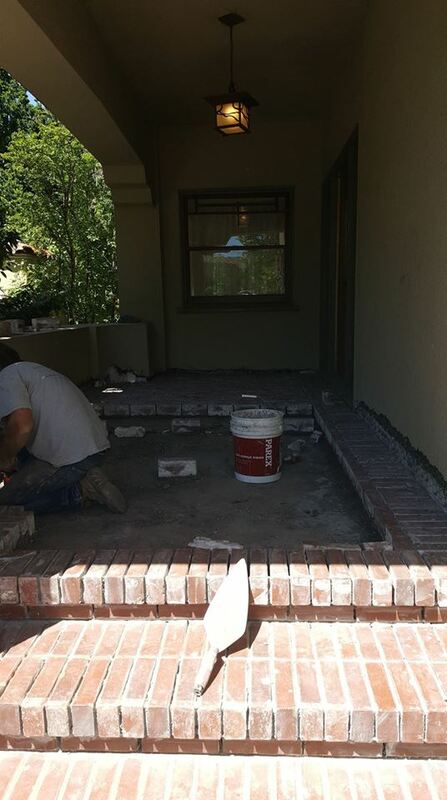 This once-handsome brick porch was collapsing because framing was rotten and leaking. 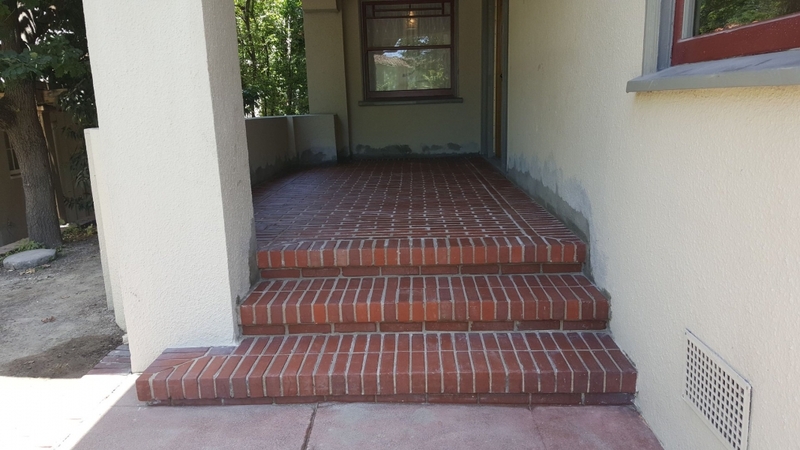 The entire porch was sinking by top step. 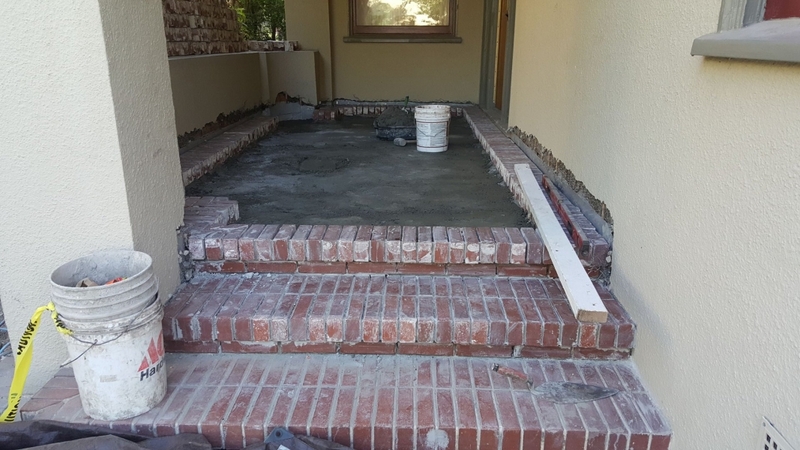 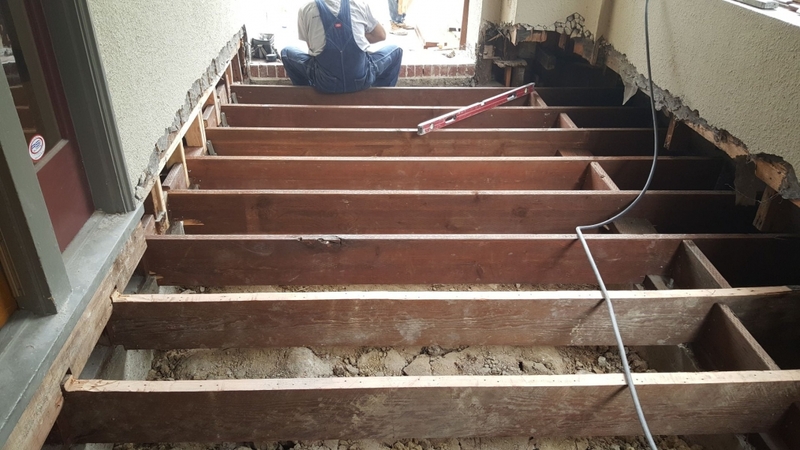 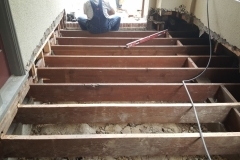 We removed all of the bricks and cleaned and stored them while we replaced some of the joists and other framing for the porch. 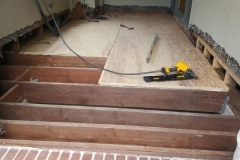 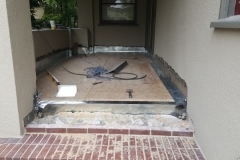 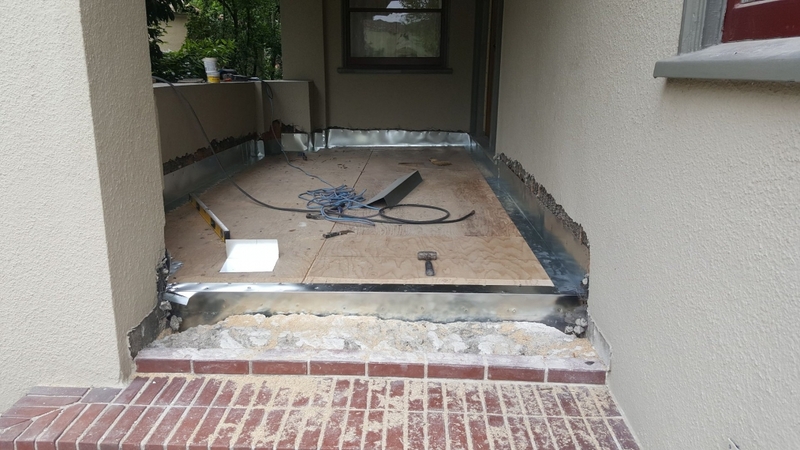 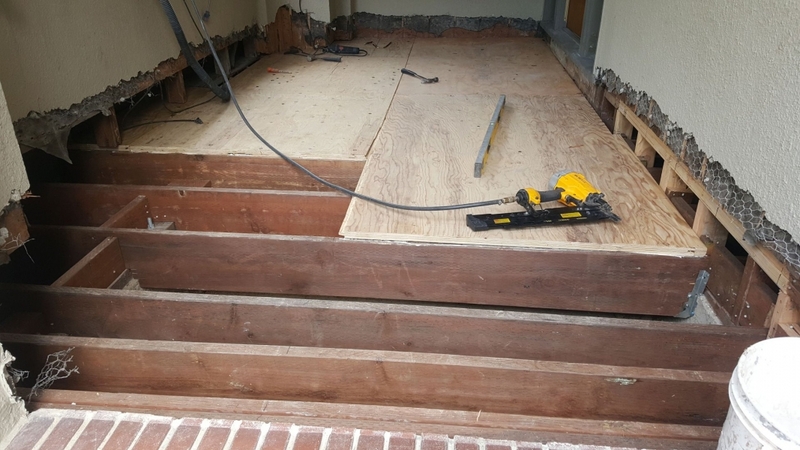 We installed flashing and waterproofing as required, ensuring that years of rain will not cause the porch to sink and collapse as it had before. 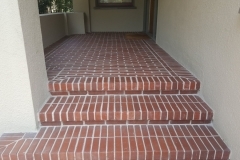 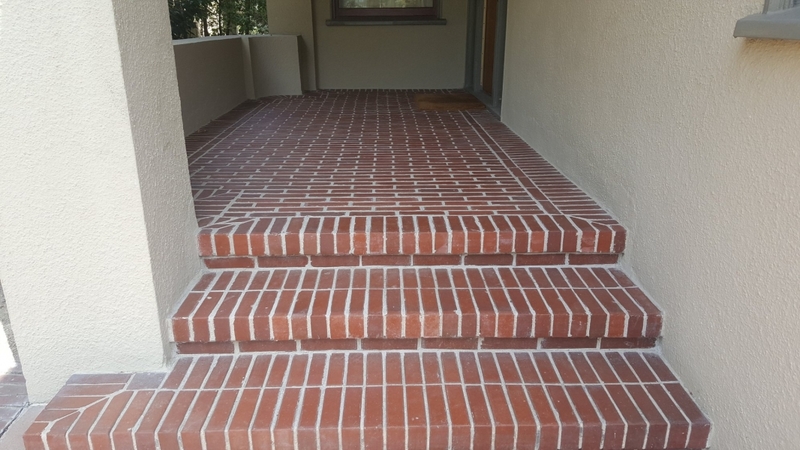 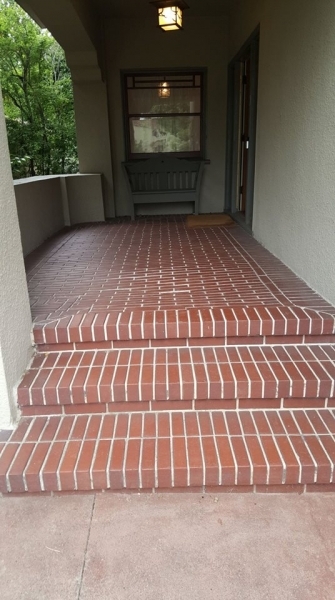 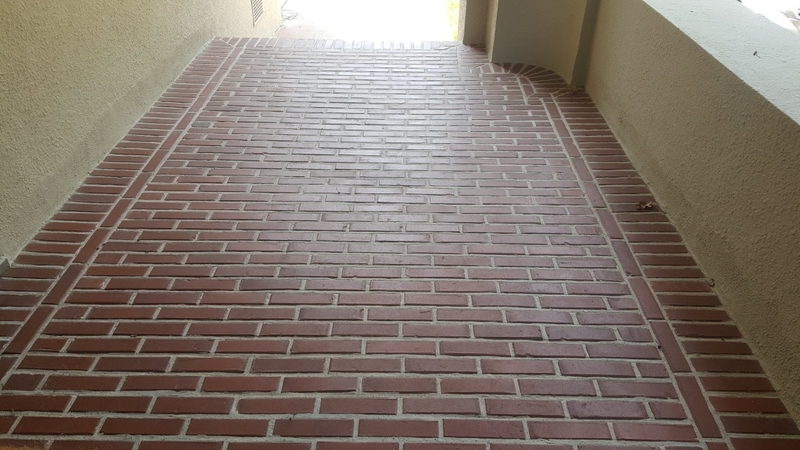 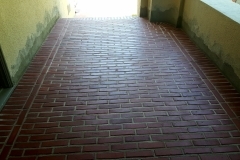 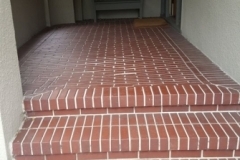 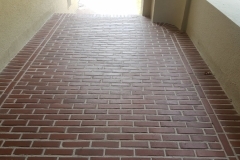 The cleaned bricks were replaced and the original pattern was meticulously reconstructed. 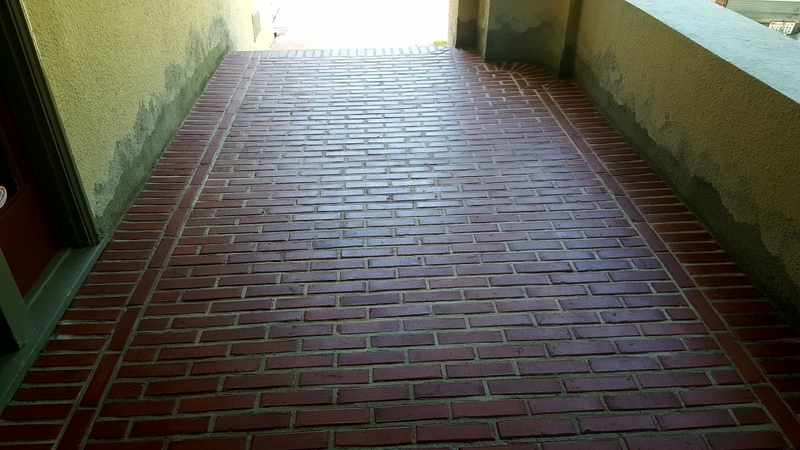 The owners were thrilled and our crew was quite proud of the results.